This is a transcript of an interview of Dr. Peter Koenig with PressTV, focussing on the recently released ILO Unemployment Report. The interview is preceded by a brief news summary of the ILO report. 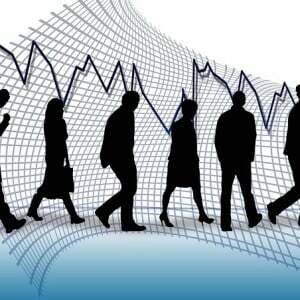 “Global unemployment rose in 2015 and is expected to worsen further over the next two years, the International Labour Organization said Tuesday, citing downturns in key emerging economies. In a new report, the ILO estimated that 197.1 million working-age people were unemployed in 2015, an uptick of 0.7 percent compared to 2014 figures. In 2016, the figure is expected to rise by a further 2.3 million, with another 1.1 million people added to the jobless roster in 2017, the report said. The figures also made clear that employment rates have not recovered from the financial crash of 2008, as 27 million more people were out of work last year as compared to the pre-crisis level. “The global economy is not generating enough jobs,” ILO chief Guy Ryder told journalists. The ILO sounded specific alarm on the ever-rising numbers of people worldwide who have “vulnerable employment”, a term referring to low quality, unstable work, without formal contracts or benefits and with huge volatility in compensation. In addition to jobless figures, the ILO has typically used the vulnerable employment rate to assess the true health of an economy. In emerging markets, the number of people with vulnerable work is expected to grow by 25 million over the next three years, the report said. PressTV Question: What do you make of this report? Summing up ILO’s projections – By 2017 more than 300 million people are likely to be unemployed. This does not include a shadow figure of at least another 30% to 50%, especially from developing countries where no exact statistics are held and where the line between partial employment and unemployment is blurred. The projected 300 million-plus in 2017 do not account either for the more than 60 million refugees which according to UNHCR are currently on the move or in camps throughout world. Their situation is extremely precarious, considering health, nutrition and other social factors – and they are practically all unemployed. The flood of refugees into Europe, especially Germany, will create more unemployment. And there is a purpose behind it: Washington wants Europe divided and working for their corporations as so-called low-wage hi-tech servants. Even in the US, real unemployment, if it were to be accounted for like it was in the 1990s, or like it is in some European countries, would be between 20% and 25%, not the 5% currently claimed by the Labor Department. PressTV: What do you think are the causes for this bleak outlook on unemployment? Mr. Ryder does not talk about, what are the origins of the financial crisis – of the ongoing crisis – of the crisis with no end in sight. This crisis is not ‘just happening’ – it is directed, fabricated and maintained by a globalized elite, led by Washington and supported by the Pentagon and NATO, fuelling wars and conflicts throughout the world. Wars are highly profitable for the military industrial complex; and they are highly destructive, leaving entire countries without infrastructure and productive capacity – like Syria – hence unemployment becomes astronomical. The worldwide economic crisis is manipulated by the very purpose of ‘Globalization’ – where rich industrialized countries transfer their manufacturing to cheap labor countries, where vulnerable and precarious jobs are created – no social insurances, no job security – minimal and barely living wages. Poor people who are at the edge of survival cannot stand up for their rights; they have to fight for daily survival of their families. The global financial – and industrial elite that is manipulating crisis after crisis- and therefore creating unemployment at will (unemployment is a ‘cushion’ for wage repression, a tool of the capitalist system) – can continue the crisis mode only as long as it uses the current fiat dollar based monetary system; only this system makes it possible to impose totally illegal ‘sanctions’ on countries that do not behave according to Washington’s dictate. I agree with ILO’s chief, Mr. Ryder – “this needs to change”. And the solution is not that far-fetched: It means getting out of this nefarious and criminal dollar system, de-dollarize and de-globalize the world. Russia-China, the other BRICS and the SCO (Shanghai Cooperation Organization) countries making up about one third of the world’s GDP and about half of the world’s population – are about ready to launch an alternative monetary system.